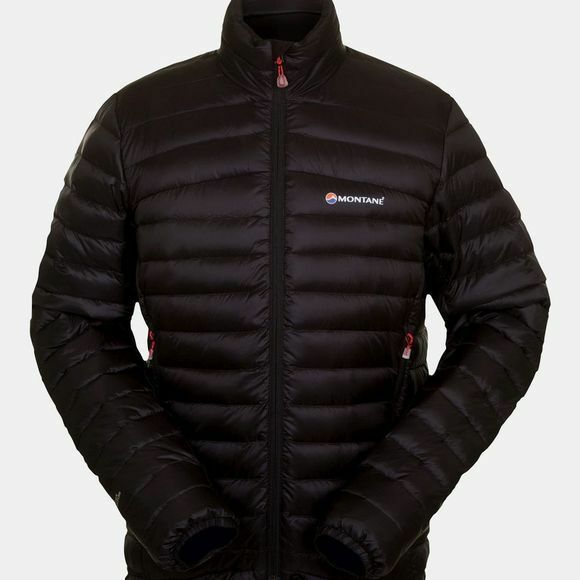 Montane's Men's Featherlite Down Micro Jacket is a super-packable, high-performance insulated mountain jacket using lightweight Pertex Quantum fabric and high-quality Titanium HyperDry Eco down. 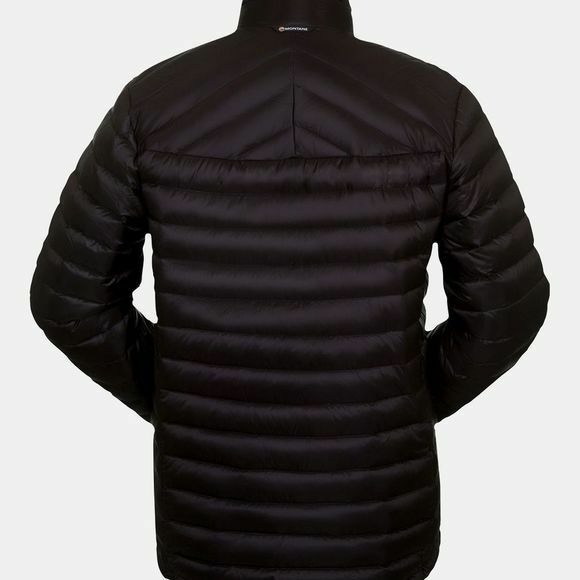 The jacket is filled with 130 grams of high-quality 90/10 Allied Feather & Down Titanium HyperDry Eco down, which is water resistant and fluorocarbon free, with a fill power of 750+ A micro-baffle anatomical construction allows you dynamic movement. Two handwarmer pockets with YKK zips are positioned well clear of a pack or climbing harness and the internal zipped security pocket is perfect for GPS or mobile phone storage. An internal storm flap behind the front zip, together with a press stud, secures hem and prevents weather entry. The roll-over chin guard is lined with brushed fine microfleece for comfort against your skin.